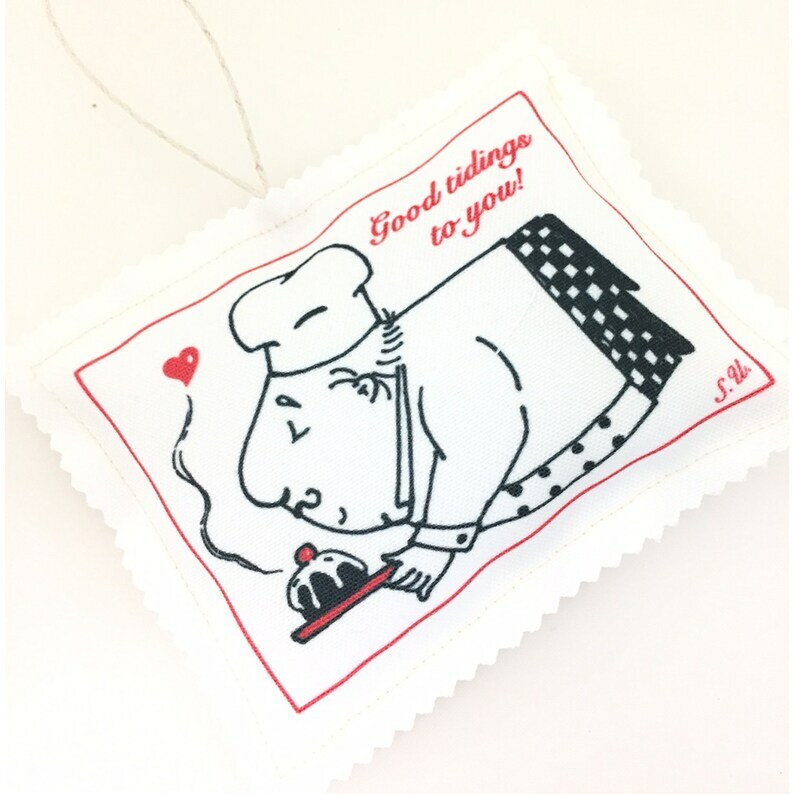 This cloth ornament pillow features my hand-drawn whimsical chef serving a Christmas Plum pudding. The back of the ornament is designed to look like the back of a vintage postcard. Buyer can use a permanent pen to personalize the ornament on back. This ornament is stuffed with Polyester stuffing, a white cotton cord is securely attached with a vintage red button added for a pop of color. A non-fraying liquid was applied to pinking shear edges to avoid fraying. The ornament is approx: 5.5"(W) x4.25"(H). 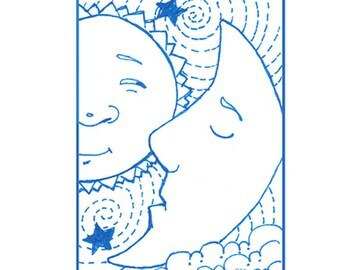 Free shipping in the continental US. 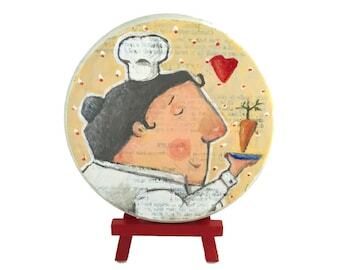 A charming gift for the favorite chef or foodie in your life!